British Airways has signed up as the official airline partner of the Team GB and ParalympicsGB teams ahead of Rio 2016. In its role as official airline partner it will fly over 1,500 British athletes and their equipment back to London for a welcome reception. British Airways’ support of British Olympic and Paralympic athletes stretches back to the Beijing 2008 Games. The airline also sponsored the teams during London 2012 despite the Games being held domestically and was the official sponsor of the London 2012 Games, which involved flying the Olympic flame from Athens to Culdrose in the UK. In order to draw attention to the sponsorship it ran a ‘Don’t Fly’ campaign, which asked the public to stay at home to support British athletes. British Airways also hosted the ‘Park Live’ fan area at the Olympic Park. British Airways has hinted it will not run a major markeitng campaign to promote its Rio 2016 sponsorship. A spokeswoman said: "Our main focus is supporting Team GB and ParalympicsGB to transfer the thousands of athletes, support teams and equipment to and from the Games." British Airways’ director of customer experience Troy Warfield said: "It’s an honour to fly the nation’s heroes and their precious medal haul home - it’s always such a monumental and proud occasion to be part of." The Olympic Games will take place between 5 and 21 August and will include rugby sevens and golf for the first time. 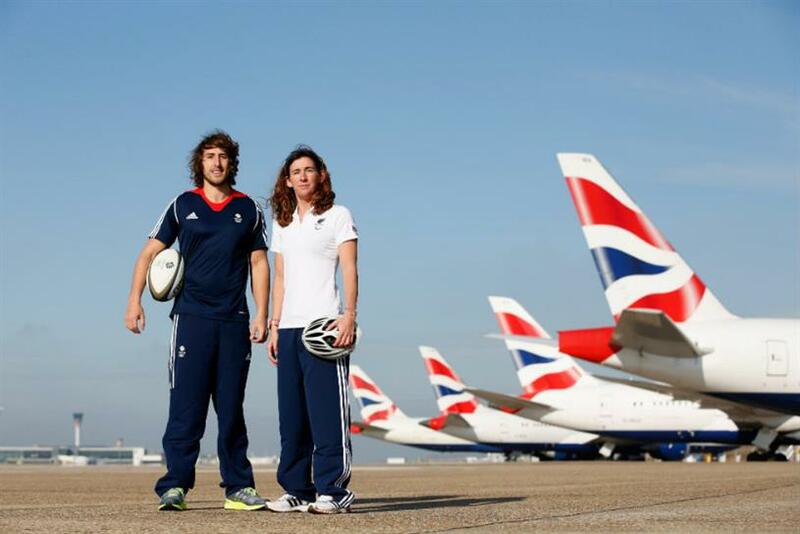 In order to publicise its sponsorship, British Airways hosted a photo shoot at Heathrow airport with athletes including Dan Bibby, who hopes to represent Team GB in rugby sevens.